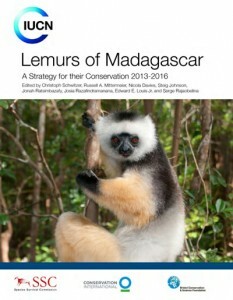 The action plan outlines the work needed to save the 100+ species of lemur across the island, and details the resources needed to implement the plan. Lemurs are the world’s most endangered group of mammals, and they need our help. We are committed to working together to save them from extinction. The Lemur Conservation Network unites over 50 conservation organizations working to protect over 100 species of lemurs across their island home in Madagascar. We aim to implement the crucial lemur survival action plan, protect lemur habitat, and save lemurs from extinction. Our members work closely with local communities in Madagascar, and we strongly believe that in order to help lemurs, we must support the Malagasy people. We are all in this together! We are making progress every day, but there is a lot of work to do. Learn about our members, and find one to support. 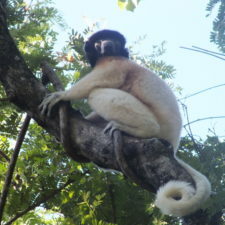 Filter by type of lemur, type of conservation work, and more. Donate to conservation organizations and research groups working in Madagascar. Volunteer in Madagascar or from home. Visit and support zoos that support lemur conservation. 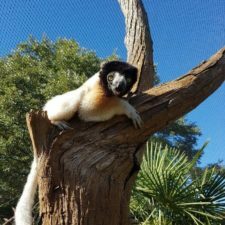 Learn about lemurs and Madagascar on our blog and resources for adults, parents, and teachers. Spread the word about lemur conservation on social media. 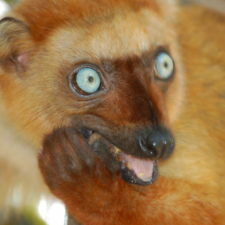 Travel to Madagascar to see lemurs in the wild and support Madagascar’s economy. Middle-schoolers from the ASA (American School of Antananarivo), in Madagascar who are doing an excellent project to help support and raise awareness of lemurs. Lemur Bags—a new line of drawstring backpacks, day bags and duffle bags—is donating 15% of profits to lemur conservation. Enter code LCN10OFF to get 10% off. 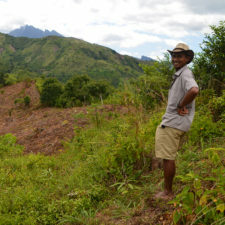 50% of sales from their stunning new documentary about deforestation in the Andasibe region of Madagascar will support the Lemur Conservation Network.